For winning the Penshoppe's 5-Piece Makeup Brush Set. 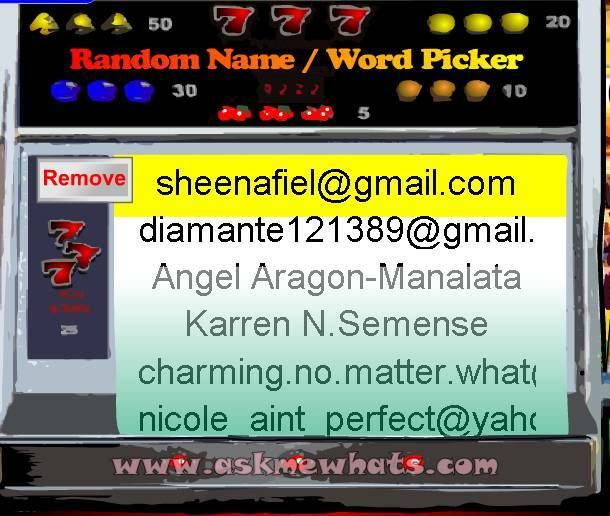 An email will be sent to you and please answer within 48 hours or a new winner will be picked! Thanks everyone for joining! Watch out for more contests! I was super sick over the weekend and I tweeted about having the worst morning sickness last Saturday! I woke up dizzy and I threw up 10x that day! (yes I counted!) I'm a wee bit better on Sunday but I'm holding on, I hope to get better soon! Thanks for all your prayers and well wishes! Since it's a Monday and just like you, I don't feel like working and waking up early the last thing on my mind! But guess what? There's no point in sulking but let the good vibes be shared! 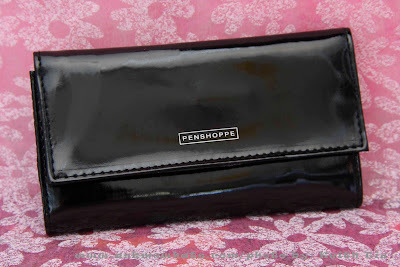 I received a gorgeous 5-Piece Makeup Brush Set from Penshoppe and because I have enough makeup brushes, I've decided to share this to ONE lucky AMW Reader! The set comes with a huge powder brush, an eyeshadow brush, a sponge applicator, a concealer/lip brush and an eyebrow brush/comb. The brush hairs are soft and sturdy and the gorgeous silver handle is a wonderful plus! This is a nice kit for people who are starting out on makeup and let's not forget, great for travel too! Tell me: Why do you deserve the Penshoppe 5-Piece Makeup brush set? Contest is open for Philippine residents. Contest starts today ends October 14, 2012. Thank you Penshoppe for the lovely brush set! It looks a lot like Marionnaud's travel set. Thank you Ms. Nikki. Get well soon. Hi! Good day! 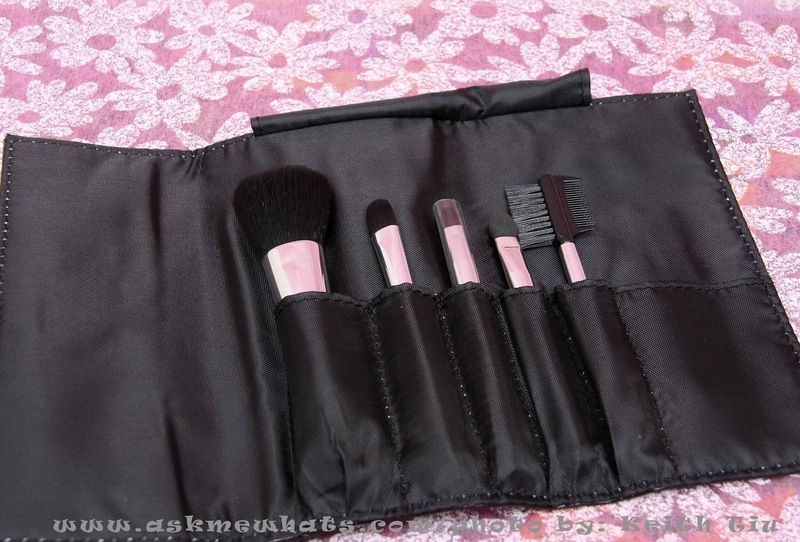 I deserve this because I need a dependable Brush set for my Make up adventures. Thanks Ms. Nikki and Get well soon. I need this brush set. I have my brushes but not as complete as this one. Thanks Nikki! I believe these are the basic tools, and as a newbie, these tools would definitely help me explore my long overdue desire to learn more the art of make up. I deserve to win this brush set because I am only starting out in make up. Much as I love it, I have never owned any brush set before because I'm still a student, always on a budget. So I simply cannot afford one just yet. I deserve to win the Penshoppe 5pc brush set because as a mom, I should not stop making myself beautiful, and these brushes are absolutely essential tools for beauty enhancement. I deserve to win the Penshoppe 5pc brush set because as a mom, I should not stop making myself beautiful, and these brushes are absolutely essential tools in enhancing beauty. i would love to win this brush set to help me look more polished for work. Im praying that I am the lucky one to own this set of brushes since I just recently bought a new makeup set. Hope i can win on this brush set. i believe this tools will help me to learn on applying make up in my daily needs. Hope i can win on this brush set. I believe this tools will help me to apply make up on my daily needs. I deserve and want this brush kit because I haven't owned any brush set ever and my high school friend who introduced and influenced to use "kikay" stuffs back then and now she left of the country just last August, gave me some of her swatched make-ups for my starter kit to let me practice and since I don't have any idea of what brushes to buy, this will be a nice reward for me. I want to win the brushes as they would go well with my other Penshoppe makeup items. Hope your morning sickness will ease up. A brilliant set of makeup brushes. I am used to the makeup accessories brand Yves Rocher, but I'm happy to try the products which you wrote. On a different note, I hope your mornings will be better now. No more headaches and throwing up. Take care of yourself and the baby! a teen mom like me really deserves this. i started collecting make-up after i have birth. for me, enhancing your beauty is a must for everyone! and these brushes takes part of this! I deserve to win this brush set because I love collecting makeup brushes and it will give me more tools for practicing putting on makeup. I deserve to win this brush set because I love collecting makeup brushes and this will give me more tools on practicing putting on makeup. Everyday make-up works for me would only often use my fingers to blend. The only brushes I own are those that came with the blush or with the eyebrow pencil. And that's that! So pitiful, right? It's because I haven't learned the right way to use make-up brushes yet but this may be a good way to start learning about it! Can you say it's a good starter brush set? 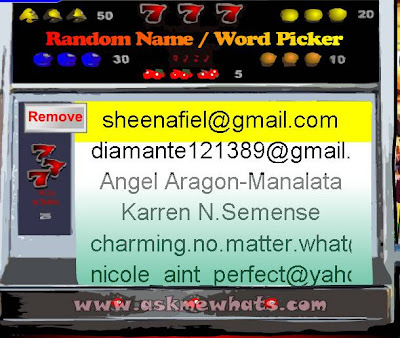 If it is, then YES, I deserve to win this!! I deserve to win this because I only have a kabuki brush right now. I need these makeup bushes so that I can start learning doing my own makeup. You inspire me every time that's why I am now loving make-ups! as a newbie, i don't have much of the make-up brushes. you kindness & generosity will surely add to my newly found personal growth. Thanks big time! Hi. I read all your tweets haha! I hope your mornings will be okay now. Im joining this contest because I waaant those brushes..Ive been drooling when I first saw it. I would love to win this for my mother. She deserves to be pampered after raising 4 children! Its a nice gift to her even without an occassion. I deserve to win these brushes because it would be interesting to try something from a local brand. Also, I don't have makeup brushes! Just one blush brush. Haha! "I deserve to win this brush set because I don't have a brush set yet huhuhu I just have an eye blending brush and a blush brush. It would great if I have this one so I can practice more and great for traveling too." I think I deserve to win the five set brush because I don't have the collection yet. I can't afford it in truest word and i'm a fan of penshoppe! I would really be grateful if i win!